A sign outside Edward Little High School in Auburn, Maine. A new high school will be built to replace it near the same location. Auburn school officials announced the location for the new Edward Little High School in Auburn on Friday. After a long year of meetings and hard work, the Auburn School Department Building Committee has made a decision on where to place their new high school. Edward Little High School isn’t moving far. The state-funded building will be constructed on the current school’s property. For months, the committee has reviewed nearly 50 sites across the city, touring five potential locations. Officials say residents have asked for a new building for years and in their top priorities requested athletic fields on one site, proximity to population density, and the ability for the school to act as an economic draw to bring people to Auburn. “This is our home and it has been since 1961 so us being able to stay here and having our students remain educated here as we transition in the new building would be wonderful,” Superintendent Katy Grondin said. 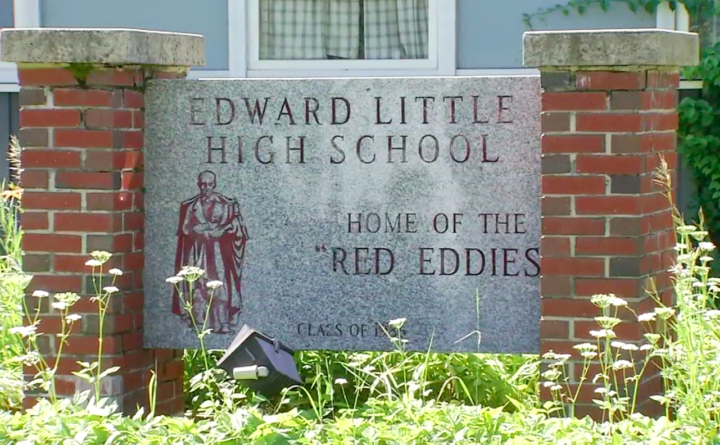 Edward Little High School is expected to open in the fall of 2023.